Westslope Cutthroat Trout (Oncorhynchus clarki lewisi) is a subspecies of cutthroat trout native to Montana. Despite the species’ common name, its natural range is on both sides of the Continental Divide. The westslope cutthroat trout is found in the Kootenai watershed, the Clark Fork watershed, the headwaters of the Missouri river and the headwaters of the Saskatchewan River. This subspecies is also found in Idaho and Canada and has a few scattered populations in Wyoming, Washington and Oregon. It can be difficult to visually distinguish westslope from other cutthroat trout subspecies, but the westslope cutthroat trout tends to have more small spots by the tail and none by the pectoral fin and the fish is more of a silvery or greenish color. The only way to be certain about identification of this subspecies is by genetic testing. Westslope cutthroat trout were first described by Lewis and Clark and were once extremely abundant. Unfortunately the species has lost a lot of ground. Various studies have estimated that the westslope cutthroat trout now only occupies between 19-27% of its historic range in Montana and about 36% of its historical range in Idaho (Van Eimeren 1996). But westslope cutthroat trout can hybridize with other cutthroat trout subspecies and rainbow trout. Thus, genetically pure westslope cutthroat trout are estimated to exist in only 2-4% of their historic stream distribution (McIntyre and Rieman 1995). East of the Continental Divide, westslope cutthroat trout are confined to headwater reaches, and most of these small populations face an extremely high risk of extinction. Westslope cutthroat trout have been included in various “watch lists” of agencies and conservation groups since 1966, the year the US Fish and Wildlife Service first produced the “Red Book.” The US Fish and Wildlife Service has been petitioned to include the westslope cutthroat trout under protection of the Endangered Species Act. In 2000, the US Fish and Wildlife Service determined that listing was not warranted, due to the species wide distribution, available habitat in public lands and conservation efforts underway by state and federal agencies. Westslope cutthroat trout have three possible life forms, adfluvial (migrates to lakes), fluvial (migrates to rivers) or resident (stays in streams). All three life forms spawn in tributary streams in the springtime when water temperature is about 10 Celsius and flows are high (Liknes and Graham 1988). Cutthroat trout spawn when they are about 4 or 5 years old and only a few survive to spawn again (McIntyre and Rieman 1995). Fry emerge in late June to mid July and then may spend one to four years in their natal streams. While resident fish spend their entire life in tributary streams, migratory life forms can travel several hundred kilometers as they move between adult and spawning habitat. Spawning and rearing streams tend to be cold and nutrient poor. Westslope cutthroat trout primarily eat insects and zooplankton and do not grow very large, usually just between 6 and 12 inches. Westslope cutthroat trout seek out gravel substrate in riffles and pool crests for spawning habitat. Cutthroat trout have long been regarded as sensitive to fine sediment (generally defined as 6.3 mm or less). Although studies have documented negative survival as fine sediment increases (Weaver and Fraley 1991), it is difficult to predict their response in the wild (McIntyre and Rieman 1995). This is due to the complexity of stream environments and the ability of fish to adapt somewhat to changes in microhabitat (Everest et al 1987). Westslope cutthroat trout also require cold water, although it has proven elusive to define exact temperature requirements or tolerances. Likewise, cutthroat trout tend to thrive in streams with more pool habitat and cover than uniform, simple habitat (Shepard, Pratt and Graham 1984). Juvenile cutthroat trout overwinter in the interstitial spaces of large stream substrate. Adult cutthroat trout need deep, slow moving pools that do not fill with anchor ice in order to survive the winter (Brown and Mackay 1995). Where the species range overlaps, westslope cutthroat trout are often found in the same streams as bull trout and mountain whitefish. There are four primary reasons for the decline of this species. Habitat loss is considered to be a widespread problem. Cutthroat trout have declined due to poor grazing practices, historic logging practices, mining, agriculture, residential development and the lingering impact of forest roads. Fish have been unable to use countless miles of spawning habitat due to dewatering of streams for irrigation and because of barriers created by dams and road culverts. Non-native species have also taken a huge toll on westslope cutthroat trout. Brook trout outcompete juvenile cutthroat trout for food (Novinger and Rahel 1999). Experience shows that once brook trout dominate a stream, cutthroat trout never regain it. Other non-native species like lake trout, brown trout and northern pike prey on cutthroat trout. East of the Continental Divide, westslope cutthroat trout were apparently displaced very rapidly after the introduction of brown trout, rainbow trout and brook trout. By the late 1950s, cutthroat trout were already confined to headwater streams (Tews et al, 2000). Thus, ironically, barriers that disrupted historical migration routes for westslope cutthroat trout have sometimes served to protect them from non-native species. A third reason for decline is the more insidious role of hybridization with other species. Westslope cutthroat trout do hybridize with rainbow trout and even other non-native cutthroat trout subspecies. This is difficult to ascertain since it takes extensive genetic testing to verify the problem. Many remnant genetically pure cutthroat trout populations, on both sides of the Continental Divide, are located above barriers that protected them from non-native species. A fourth cause of decline has probably been overfishing. Westslope cutthroat trout are highly susceptible to angling (Behnke 1992) but it is uncertain how much of an impact this has had on the species overall decline. Management of this species involves protecting the population strongholds and making tough decisions on restoration priorities for the depressed populations. The State of Montana has altered fishing regulations to reduce fishing mortality. Montana has also developed a Conservation Agreement signed by nine government agencies and conservation groups (Montana Department of Fish, Wildlife and Parks 1999). This agreement prioritizes protecting genetically pure populations first, then slightly introgressed populations. Recovering depressed populations will involve habitat restoration and removing non-native species. Research suggests that it is not a good idea to bolster populations with stocked fish from other watersheds due to considerable genetic variation between watersheds (Leary, Allendorf and Kanda 1998). It will be especially challenging to recover migratory life forms. Governmental agencies will need to work together to share expertise, pool financial resources and monitor progress toward restoration of this species. Behnke. R.J. 1992. Native trout of western North America. American Fisheries Society Monograph 6. Brown, R.S. and W.C. Mackay. 1995. Fall and Winter Movements of and Habitat Use by Cutthroat Trout in the Ram River, Alberta. Transactions of the American Fisheries Society 124:873-885. Everest, F.H., R.L. Beschta, J.C. Scrivener, K.V. Koski, J.R. Sedell and C.J. Cederholm. 1987. Fine Sediment and Salmonid Production: A Paradox. IN Streamside Management: Forestry and Fishery Interactions. University of Washington, Seattle, Washington. E.O. Salo and T.W. Cundy, tech Ed. Pages 98-142. Leary, R.F., F.W. Allendorf and N. Kanda. 1998. Lack of Genetic Divergence between Westslope Cutthroat Trout from the Columbia and Missouri River Drainages. Wild Trout and Salmon Genetics Laboratory Report 97/1. Missoula, Montana. Liknes, G.A. and P.J. Graham. 1988. Westslope Cutthroat Trout in Montana: Life History, Status and Management. Status and Management of Interior Stocks of Cutthroat Trout. American Fisheries Society Symposium 4:53-60. McIntyre, J.D. and B.E. Rieman. 1995. Westslope Cutthroat Trout IN Conservation Assessment for Inland Cutthroat Trout. General Technical Report RM-256. US Department of Agriculture, Forest Service, Rocky Mountain Forest and Range Experiment Station, Fort Collins, Colorado. M.K. Young, tech. Ed. Pages 1-15. Montana Department of Fish, Wildlife and Parks. 1999. Memorandum of Understanding and Conservation Agreement for Westslope Cutthroat Trout (Oncorhynchus clarki lewisi) in Montana. Helena, Montana. Novinger, D.C. and F.J. Rahel. 1999. Exploring Competitive Mechanisms that Allow Nonnative Brook Trout to Displace Native Cutthroat Trout in a Rocky Mountain Stream. 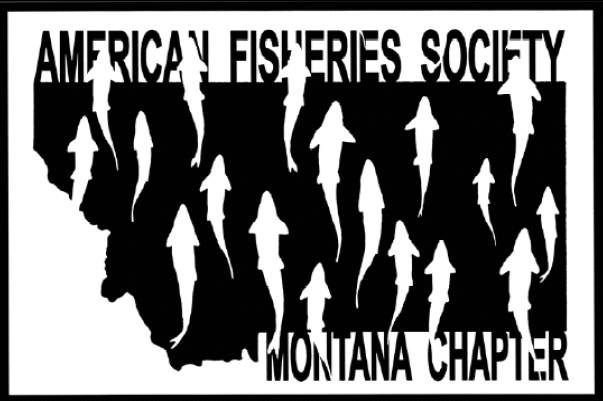 American Fisheries Society 129th Annual Meeting Abstracts. Charlotte, North Carolina. Shepard, B.B., K.L. Pratt, and P.J. Graham. 1984. Life Histories of Westslope Cutthroat Trout and Bull Trout in the upper Flathead River Basin, Montana. Montana Department of Fish, Wildlife and Parks, Helena, Montana. Tews, A., M. Enk, S. Leathe, W. Hill, S. Dalbey, and G. Liknes. 2000 Overview of Status and Restoration Strategies for Westslope Cutthroat Trout (Oncorhynchus clarki lewisi) in Northcentral Montana. Special Report by Montana Fish, Wildlife and Parks in collaboration with the Lewis and Clark National Forest. Great Falls, Montana. Van Eimeren, P. 1996. Westslope Cutthroat Trout Oncorhynchus clarki lewsi IN Conservation Assessment for Inland Cutthroat Trout. Distribution, Status and Habitat Management Implications. US Department of Agriculture, Forest Service, Intermountain Region, Ogden, Utah. D.A. Duff, tech. Ed. Pages 1-10. Weaver, T. and J. Fraley. 1991. Fisheries Habitat and Fish Populations. Flathead Basin Forest Practices Water Quality and Fisheries Cooperative Program. Flathead Basin Commission. Kalispell, Montana.